Over the past couple of months, I’ve discovered the fantastic properties of oregano oil and in our household, it’s become the go-to remedy when the kiddos are sick or running a fever. After doing a little more research on the subject, I truly began to realise the value of this magnificent essential oil and have since been recommending it far and wide. So, let’s elaborate: Oregano oil is made of oregano (the herb) yet is a more nutrient dense than the actual plant. 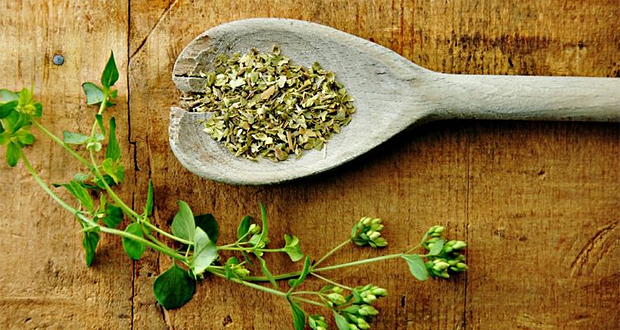 Most of the health benefits of oregano oil can be ascribed to its carvacrol and thymol content as these compounds help kill harmful microbes in the body. A rich source of vitamin K for stronger bones and muscles. A natural colds, sinusitis and flu fighter. Rich in antioxidants, making it the ideal addition to a detox diet. Acts as anti-inflammatory, protecting muscles and relieving pain. Great source of iron and manganese. In its herb form, it’s packed with natural fibre. Helps reduce menstrual cramps and bloating. Aids irregular menstruation and reduces negative effects of menopause. Helps reduce indigestion and boosts digestive function. Over time, prevents intestinal parasites from forming. Helps prevent and soothe earaches, toothaches and headaches. Contains carvacrol – a known natural insect repellent. Slows down cell deterioration to help prevent ageing. Strengthens the heart and reduces the risk of cardinal disease. Can reduce dandruff, acne and other skin ailments. Boosts the body’s defense mechanism. Acts as a natural sedative for peaceful sleep. Take a look at this VERY interesting video that a friend of mine, Tess, shared the other day below – it’s REALLY worth the watch! V is for Valentine’s Day!